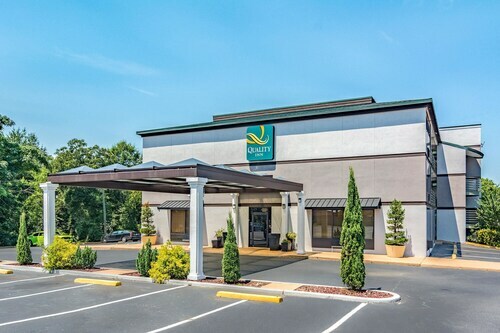 Located in the heart of Columbus, this hotel is within 3 mi (5 km) of Rigdon Park, National Infantry Museum and Soldier Center, and Memorial Stadium. Columbus Civic Center and South Commons Sports Complex are also within 6 mi (10 km). 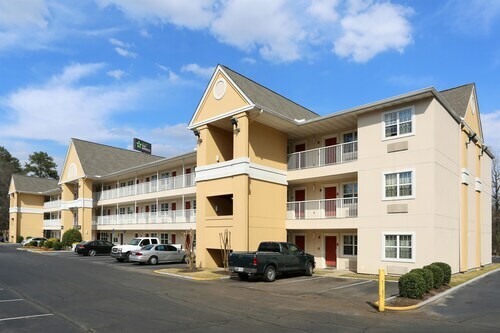 Situated in Columbus, this hotel is 1.5 mi (2.4 km) from Hughston Clinic and within 6 mi (10 km) of Columbus State University and Heath Park. Bull Creek Golf Course and Peachtree Mall are also within 6 mi (10 km). Located in the heart of Columbus, this hotel is within 2 mi (3 km) of Columbus State University, Peachtree Mall, and Hughston Clinic. Heath Park is 2.3 mi (3.7 km) away. 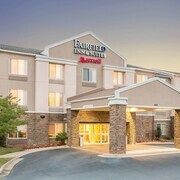 Situated in Columbus, this hotel is 1.4 mi (2.2 km) from Hughston Clinic and 2.8 mi (4.5 km) from Bull Creek Golf Course. Peachtree Mall is 5.2 mi (8.3 km) away. 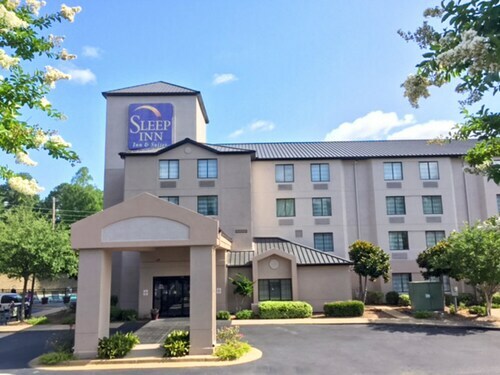 Situated near the airport, this hotel is within 3 mi (5 km) of Columbus State University, Peachtree Mall, and Columbus Museum. Columbus Civic Center and Columbus Georgia Convention & Trade Center are also within 6 mi (10 km). 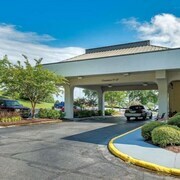 Located in the heart of Columbus, this motel is within 1 mi (2 km) of Columbus Georgia Convention & Trade Center and Columbus Civic Center. Coca-Cola Space Science Center and Columbus Museum are also within 1 mi (2 km). 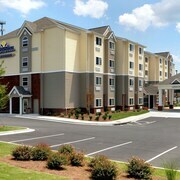 Situated near the airport, this motel is within 1 mi (2 km) of Peachtree Mall and Columbus State University. Hughston Clinic is 2.9 mi (4.6 km) away. 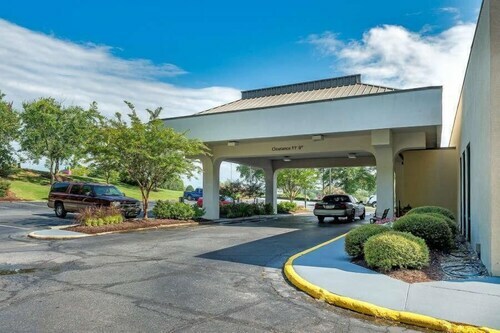 Located in the heart of Columbus, this hotel is 0.3 mi (0.5 km) from National Infantry Museum and Soldier Center and 2.4 mi (3.8 km) from Rigdon Park. Columbus Civic Center and South Commons Sports Complex are also within 6 mi (10 km). This family-friendly Columbus hotel is within 2 mi (3 km) of Columbus State University, Peachtree Mall, and Hughston Clinic. Heath Park is 2.3 mi (3.6 km) away. 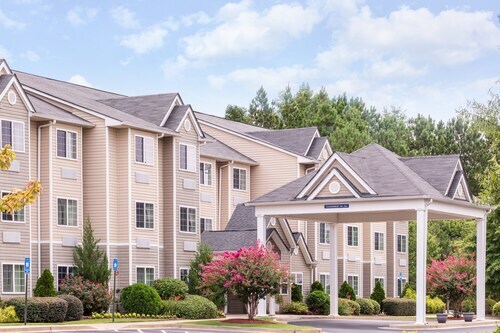 Situated near the airport, this hotel is within 9 mi (15 km) of Peachtree Mall, Columbus State University, and Columbus Georgia Convention & Trade Center. South Commons Sports Complex and National Infantry Museum and Soldier Center are also within 16 mi (25 km). 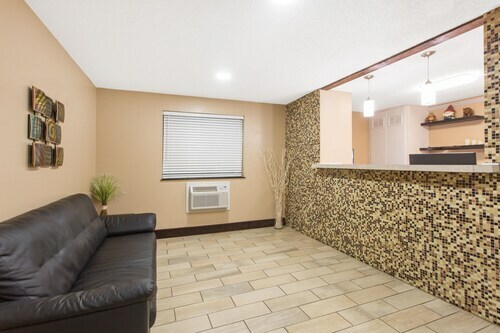 Situated in the business district, this hotel is within 1 mi (2 km) of Peachtree Mall and Columbus State University. Hughston Clinic is 2.8 mi (4.6 km) away. How Much is a Hotel Room in Columbus? Hotels in Columbus start at $48 per night. Prices and availability subject to change. Additional terms may apply. Hotel and apartment choices are many and varied in Columbus. Get excited reading the 40 hotel options on Travelocity, all conveniently located within a 6-mile (10-kilometer) radius of the downtown center. Situated within easy driving distance of Columbus, are the Residence Inn by Marriott Columbus and Homewood Suites by Hilton Columbus. If you'd like to take a vacation in Columbus, but are a budget traveler and looking for cheaper deals on hotels, you'll find that there are affordable places on offer in the vicinity. The Sleep Inn is 4 miles (6 kilometers) from the heart of Columbus, while the Holiday Inn Columbus - North - I-185 is 4 miles (6 kilometers) away. The Hampton Inn Columbus Airport and the La Quinta Inn & Suites Columbus State University are two of the other recommended cheaper options that deserve a look. Look into the Columbus Marriott and also the TownePlace Suites by Marriott Columbus. The Columbus Marriott is located just 7 miles (11 kilometers) away from downtown Columbus. 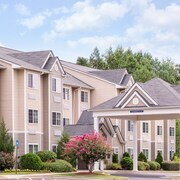 The TownePlace Suites by Marriott Columbus, can be found 4 miles (6 kilometers) away. 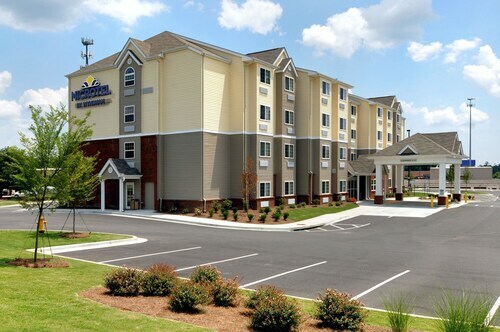 Other hotels are the Holiday Inn Express Hotel & Suites Columbus-Fort Benning and the Staybridge Suites Columbus Ft. Benning. The larger Central Georgia area is well worth checking out too. Spend time at Central Georgia's historic mansions and history museums and don't forget to relish the region's coastal plains and tablelands. Travelers in this region of United States of America will enjoy shore fishing. The nearest places to spend the night in Central Georgia are Warm Springs and Hamilton. Warm Springs is 30 miles (47 kilometers) to the north of Columbus, while Hamilton is 19 miles (31 kilometers) to the north. Warm Springs hotel options are the Meriwether Country Inn and Mountain Top Inn and Resort. The Holly House of Hamilton and Valley Inn are a selection of the Travelocity-registered hotels and apartments in Hamilton. Consider spending a few hours hanging out with local supporters at a local sporting fixture. You'll find Jordan-Hare Stadium 35 miles (58 kilometers) to the west of Columbus. Book a hotel nearby to the sporting action at the The Hotel At Auburn University or the Holiday Inn Express Hotel & Suites Auburn - University Area. Columbus Metropolitan Airport is a primary gateway for those arriving by air to Columbus. It is 3 miles (5 kilometers) from the center of town. For modern travelers who choose to find a room nearby, try the DoubleTree by Hilton Columbus or SpringHill Suites by Marriott Columbus. everything was perfect . the rooms were very clean ..
Good price, clean, friendly staff no hot breakfast and no bananas. Friendly staff, very clean. Great location lots nearby.